7 Amazing, Highly Organized Closets That Will Inspire You! It's the season for spring-cleaning! The best place to start is with your closets. But, does it feel like the closets in your home are overflowing, and no matter how you try to straighten them up, they are always messy? It's time to invest in closet systems, or build-outs, that will give you a place for everything and make it easy to stay organized. We've got some ideas for you; so keep reading to see 7 amazing, highly organized closets that will inspire you! 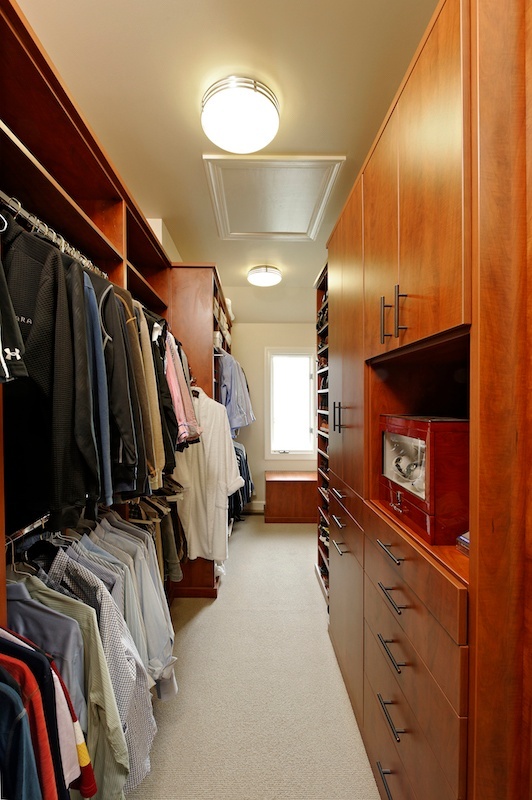 This closet has a place for everything, and it's all out of sight. 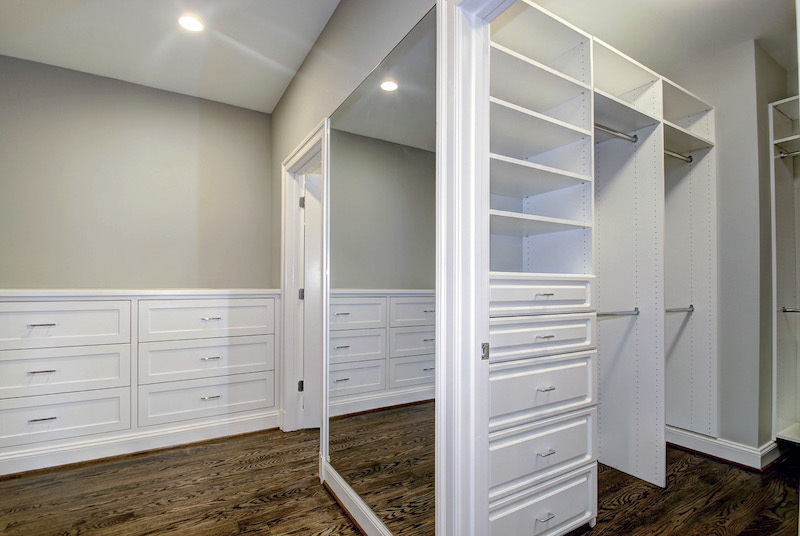 Mirrored doors create the illusion of a larger space, and they open to reveal shelves and hanging rods to keep everything neat and easy to find. A bench in the center of the closet provides the perfect place to sit while you dress and put on your shoes. Sharing closet space can make it hard to find anything and can lead to twice the mess. 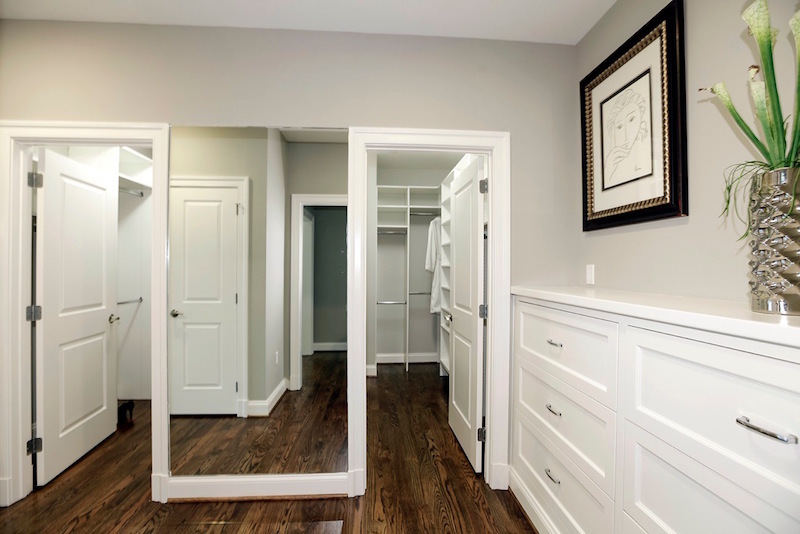 The entry to this 'His and Hers' closet is divided by a full-length mirror that enhances the dressing area and is the perfect spot to do a top-to-toe check before heading out of the house. Have an empty wall near your closet or in your bedroom? Put that space to good use by installing a built-in dresser. Deep drawers, like these, are the perfect place to store bulky items like sweaters or extra linens and blankets. If you fold most of your clothes, then install lots of shelves to keep your things tidy and visible so you don't have to hunt around when you're in a hurry. Double-hanging rods also allow you to store twice the number of items in the same amount of space. 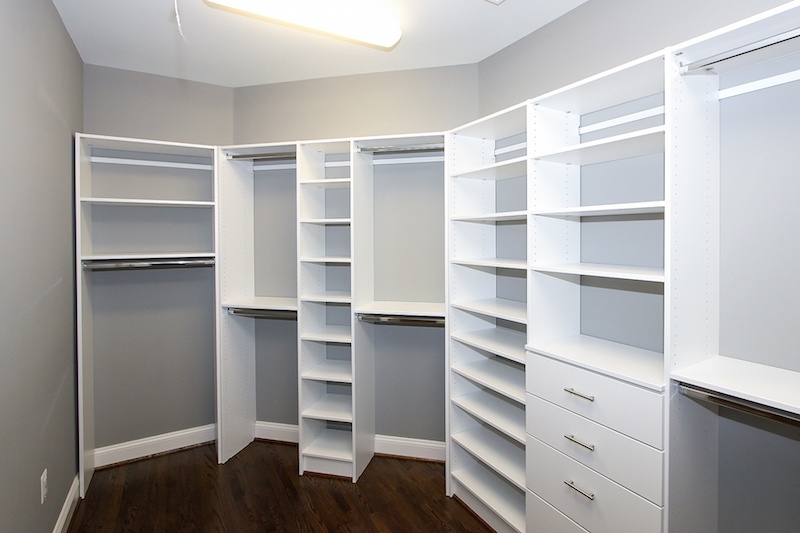 If you have a long, narrow closet, use both walls to maximize your storage space. 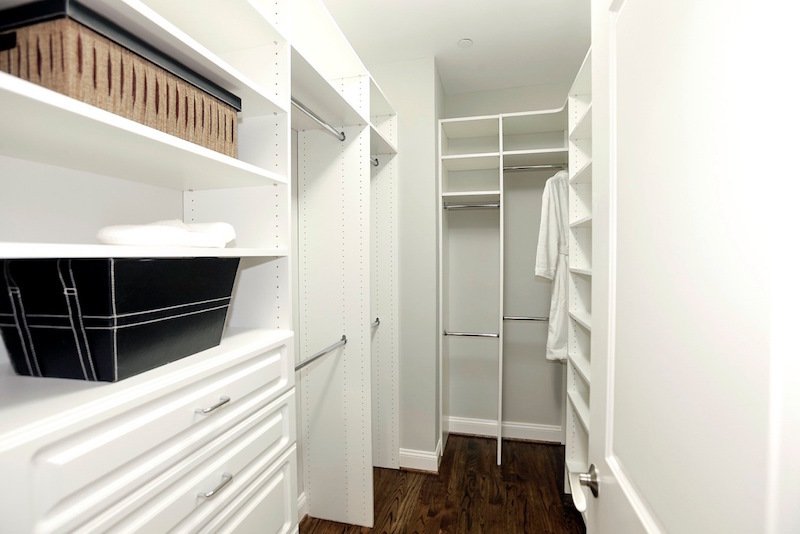 This closet has double-hanging rods on one side, and drawers and shelves on the other. This closet has it all: drawers, shelves and lots of hanging space. Use an attractive bin or box to store 'like' items, such as belts or handbags, so you can simply pull it off the shelf and easily see everything inside. If you have a small closet, use every inch to maximize your storage space. 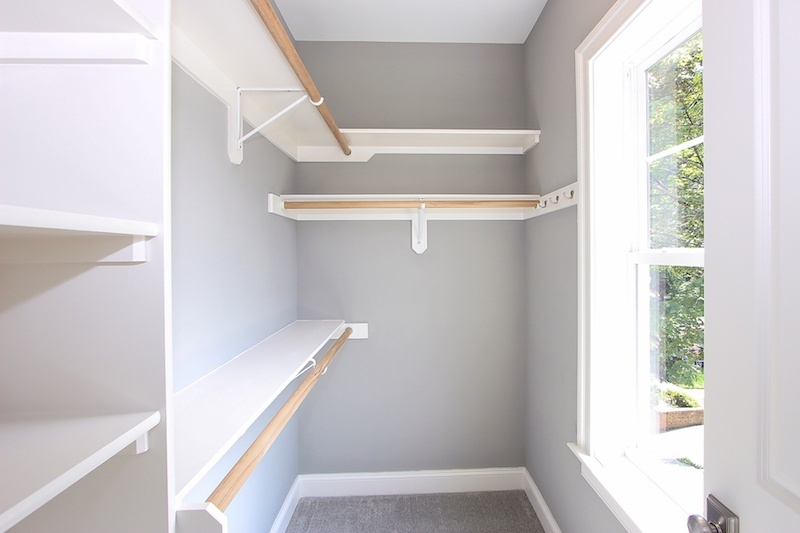 This closet has strategically placed shelves, hanging rods and hooks to offer more storage than you would ever expect from this small space. A window in the closet provides natural light to illuminate the space.